We significantly improved the performance on all our history tabs. Users with large amounts of historical data will notice much faster loading times. Systems and components are now listed throughout Helm CONNECT in the same order you chose when you built the vessel. If you make a change to the order of the systems or components, or if you add or delete one, the change will be reflected in all lists of systems and components. We continued to improve our performance and appearance on mobile devices. If you're working in Vessel Logs at resolutions below 1024 pixels, the Task Log now stays hidden and out of your way by default. When you need it, you can display it by simply clicking an icon. We now give you the option of using checklists on demand. These checklists have no start date or frequency, and can simply be performed whenever your crew members need them. Note: All checklists are based on templates, which you build in Setup. The checklist cards in the To Do list now display the frequency of the checklist (such as Daily, Weekly, or Monthly) after the due date. If the checklist is overdue, the word "Overdue" clearly appears on the card in red. When approving a finished checklist with some failed items, you can now see who failed each item and why they failed it by using your mouse to hover over the severity icon for that item. From the History tab, you can now open a finished checklist and see the date and time it was approved or declined. If the inspection checklist you are working on includes a drop-down list of names, you can now select more than one name from the list. If you open a completed task from the History tab, you can now view any attached documents. In this release, we continued to improve and enhance the performance of the maintenance Dashboard. Instead of listing only your vessels' planned and unplanned tasks, the Overview tab now lists all the upcoming activities for your vessels, including their inspections and maintenance routines, as well as their readings and running hours checklists. To help you manage all the additional information now displayed on the Overview tab, we rearranged and relabeled some of the existing filters and added some new ones. You no longer have to refresh the screen to see changes made by other users. You'll immediately see any changes made by other users on shore, even if they're working in other areas of Helm CONNECT. 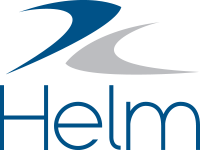 Changes made in the installed version of Helm CONNECT on a vessel will be visible after the next data transfer between that vessel and the shore. With this release, we renamed Crew Certifications to Crew Management and redesigned the Crew and the Tracking tabs for simplicity and ease of use. The main view of the Crew tab has a clean, simple new look. Each crew member is now represented by a card that includes a place for a picture. In the upper right of the Crew tab, we added a New crew member button so you can quickly add new people to the system without having to go to Setup. Clicking a crew card on the Crew tab opens a detailed view. This view has a great new layout and some impressive new features. We added a profile of the crew member on the left with a picture and some personal information, including his or her department, division, and contact information. We also added two new tabs: a Tracking tab with cards representing the crew member's certifications and a History tab showing all the updates made to those certifications. You can now add your own certification types while building a certification template. Once you publish the template, the types you added will be available from the Type drop-down list for that certification category. When you look at the Tracking tab, you'll notice immediately that we replaced the Due filter with a colorful stacked bar chart. The new chart makes it easy to quickly see the status of your crew certifications, with different colors representing items expiring in less than 30 days, in 30 to 60 days, in 60 to 90 days, and in more than 90 days. You can click any of the filters below the bar chart to display only the items in that category. Note: We designed the new bar chart and filters to complement the new lead times and lead time notifications. The layout for the Update Certification window is now cleaner and simpler, with new tabs for adding notes and attaching documents. The Vessel tab has a new look. Each vessel is now represented by a card that includes a place for a picture. Clicking a vessel card opens a detailed view and allows you to manage the certifications for that vessel. You can now give your crew checklists without a frequency or start date that they can perform on demand. When building this type of inspection template, simply select On Demand from the Frequency list. On your vessels, on demand checklists appear in the Unscheduled group in the To do list. When building a new global template for either crew or vessel certifications, you can choose to email notifications to the responsible parties for that template when an item is approaching its expiry date. You can select different notification lead times for each item in the template, or decide that some items in the template don't require a notification. You can now add your own certification types while building a crew or vessel certification template. Once you publish the template, the types you added will be available from the Type drop-down list for that certification category. If your company only has one division, that division is now selected by default when you add a new person to the system or build a new vessel. You now have the option of adding pictures of your crew members. These images are displayed on the Crew tab in Crew Management. You can now assign more than one position to a person. To make it easier to see all the positions a person might have, we've added a tooltip to the People list view that displays all the positions held by a selected person. We resolved an issue where deleted positions were still appearing in drop-down lists in other areas of the system. We resolved an issue where large boats, with many systems and components, could be slow to load, duplicate, or save.